At first sight, 2642 Vanderhoof Drive might seem to be another quiet and unobtrusive suburban retreat… but what awaits inside, and around in the backyard, is sure to please even the most discerning buyers. From beautiful interior remodeling and high-end features and finishes to a breathtaking acre of lush landscaping—zoned for horses!—this home has everything you want and more. Quality modern design meets a sophisticated modern flair on traditional architecture in this lovely mid-century home. 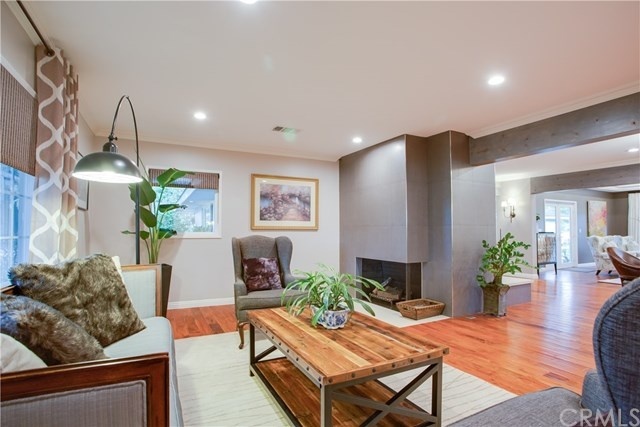 Completely remodeled, 2642 E Vanderhoof Drive in West Covina is filled with outstanding upgrades and finishes, like ¾” walnut floors, recessed LED lights, new windows and doors, and so much more. Welcome guests into your spacious and elegant modern living room, designed to impress guests while offering plenty of comforts. Cozy up by the unique fireplace or enjoy bright sunlight through large windows. Invite formal guests to intimate dinner parties in the open dining room. The spacious and wide-open greatroom is ideal for all activities, from cozying up with a good book to enjoying a fun get-together with family or friends. 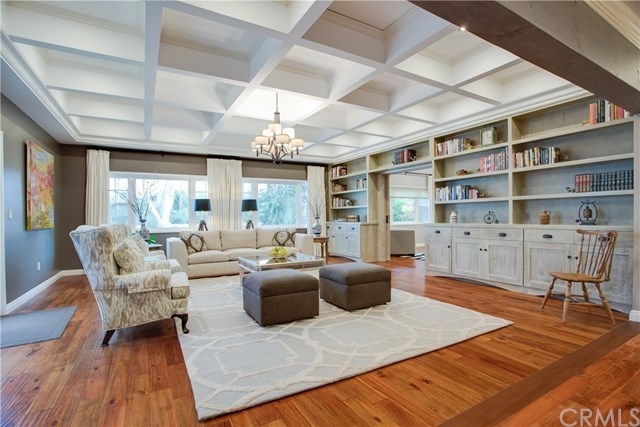 Beautiful built-in shelving provides plenty of space for decor, books, and other knick knacks. The features of this ultra-modern kitchen are truly sublime! A huge center island with Carrera marble offers plenty of room for prepping—while entertaining guests. High-end appliances—like a Thermador 6-burner range and griddle, a Bosch dishwasher, and a SubZero fridge—making cooking a breeze. 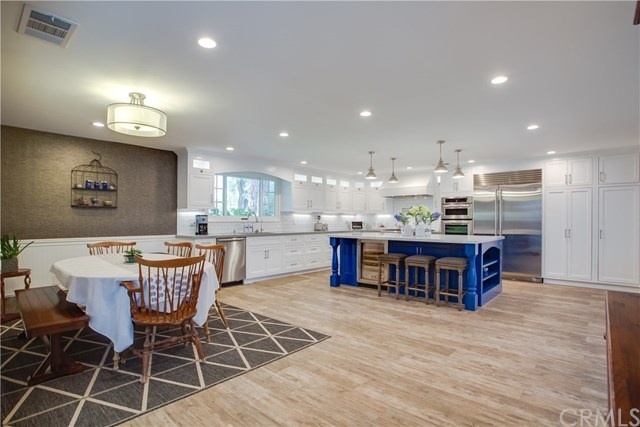 Pull-out cabinetry, quartz counters, and custom lighting are other features you’ll love. That, and the walk-out to the sun room! 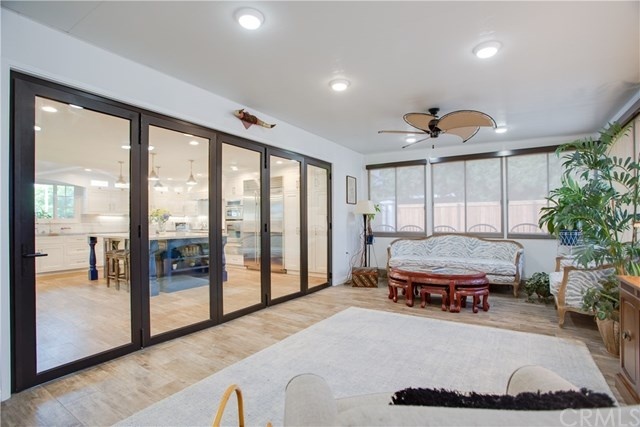 Whether you’re enjoying a solo morning brew or sipping afternoon drinks with friends, this beautiful sunroom is ideal for maximizing your time in the lovely California sunshine. Master Suite? More Like Spa Retreat! 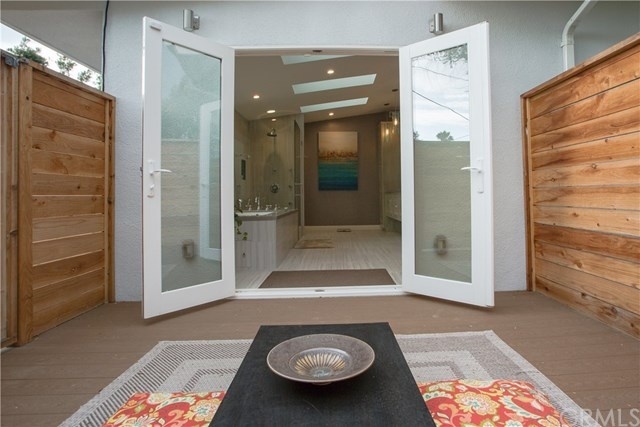 With over 1 acre of land, you’ll find numerous ways to enjoy your outdoors time. Spend time with friends out on the patio or around the fire pit. Admire the scenery surrounding your yard. Plant your own private garden or enjoy hobbies in the shop. 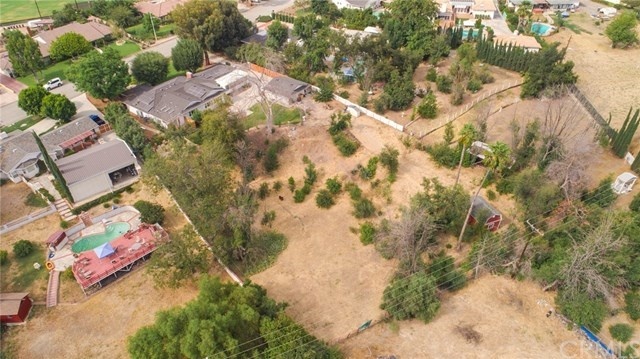 This property is even zoned for FIVE horses! 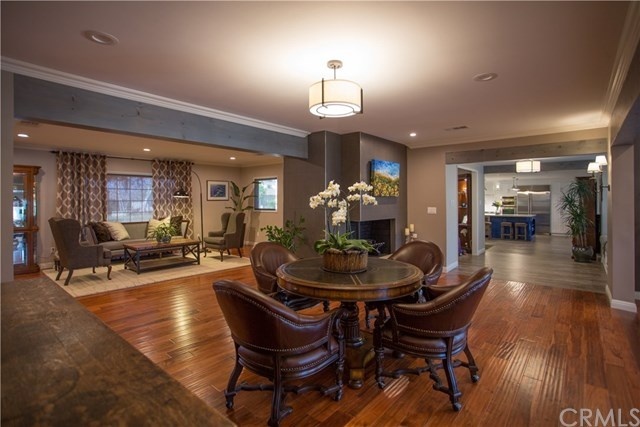 Ready to Come Explore This Lovely West Covina Home in Person? Ready to take a look at this breathtaking home for yourself? Then it’s time to contact Laura Dandoy. 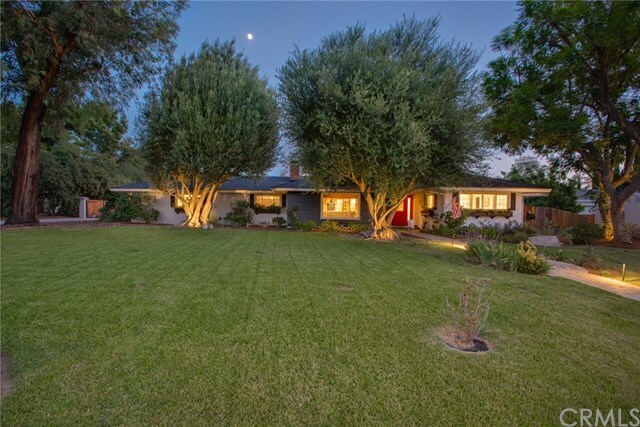 As your guide to real estate in West Covina and the Foothills, I’m here to show you around the area, help you learn more about buying a home in the Foothills, and discover the perfect home for sale.